Mammootty's most anticipated movie of the year Yatra which is the biopic of legendary Telugu politician YS Rajasekhara Reddy (YSR) will be released on December 21. Interestingly, December 21 marks the birthday of YS Jaganmohan Reddy, son of YSR. Fans of YS Rajasekhara Reddy are all in a state of happiness now, after they came to know that the movie about their leader is getting released on his son's birthday. Jaganmohan Reddy is now the political heir of YSR and has already proved his mettle by leading YSR Congress from the front. Jagan, who has been the leader of the opposition party in Andhra Pradesh legislative assembly since 2014 is known for taking tough stands against the government led by Chandrababu Naidu. 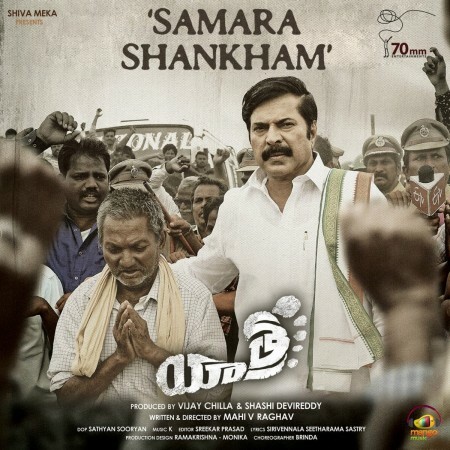 A teaser of Yatra was released recently, and soon audiences started praising Mammootty for exactly portraying the mannerisms of YS Rajasekhara Reddy on screen. In Facebook groups like Cinema Paradiso Club and Afx Movie Club, users lauded the Mollywood star for bringing life to YSR in the most elegant manner without any flaws. As per close sources to the movie, Yatra will feature the historic 'Padayatra' led by YSR which played a crucial role in defining Andhra Pradesh politics. The 'Padayatra' became a mammoth success, and people irrespective of age, caste, creed and colour joined YSR in this effort. It should be also noted that YSR walked for more than 1,400 kilometres on foot in 2003, and this act from the politician played a crucial role in determining the success of his party in 2004. Mahi V Raghav has directed Yatra. Apart from Mammootty, this movie also stars Rao Ramesh, Anasuya Bharadwaj, Posani Krishna Murali, Vinod Kumar, and Suhasini Mani Ratnam in other prominent roles. The music of Yatra is composed by K, while Sathyan Sooryan has handled the cinematography. A Sreekar Prasad has edited the movie. Yatra is bankrolled by Vijay Chilla and Shashi Devireddy in the banner of 70mm Entertainment.